Poster + interactive visualization of the Barcelona metro network. 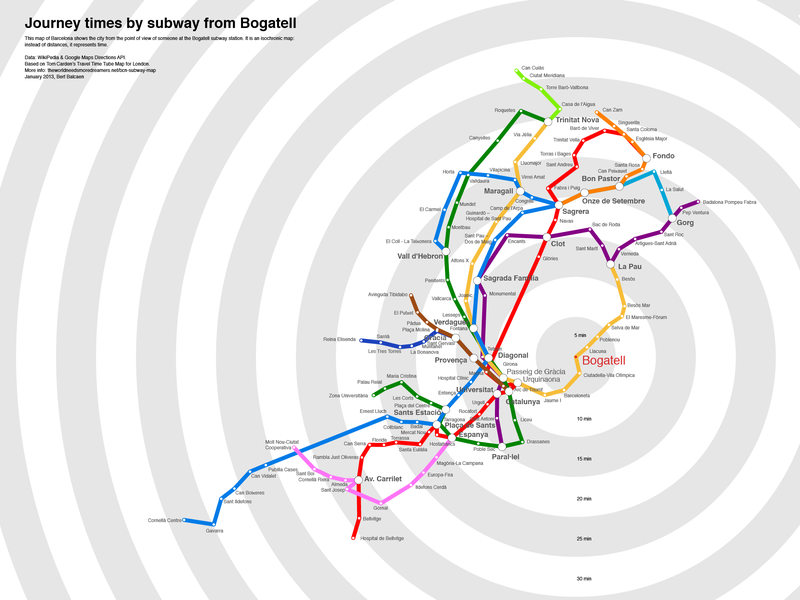 This map of Barcelona shows the city from the point of view of someone at the Bogatell subway station. It is an isochronic map: instead of distances, it represents time. d3, Illustrator, Google Maps directions API.